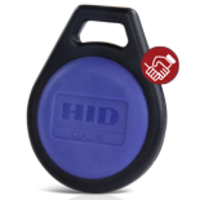 HID Global’s iCLASS SE platform enables customers to future-proof their access control infrastructures while simplifying how identities are created, used and managed, across a broad continuum of application requirements using any combination of smart cards, microprocessor cards and NFC-enabled smartphones. With the iCLASS SE platform, enterprises and organizations have the assurance that their investments in today’s technologies can be leveraged in the future. Why the iCLASS SE Platform?